I woke up at 6:30, or more accurately; having not slept a wink because of the wind flapping the fly sheet I sat up at 6:30 and it hadn’t started raining. I had breakfast and started packing up but just as I was ready to emerge the rain started. So I hurriedly packed up the now damp tent. The rain then got heavier and more persistent. I followed Dere Street more or less all the way to Jedburgh and arrived at the campsite while it was still very much morning. 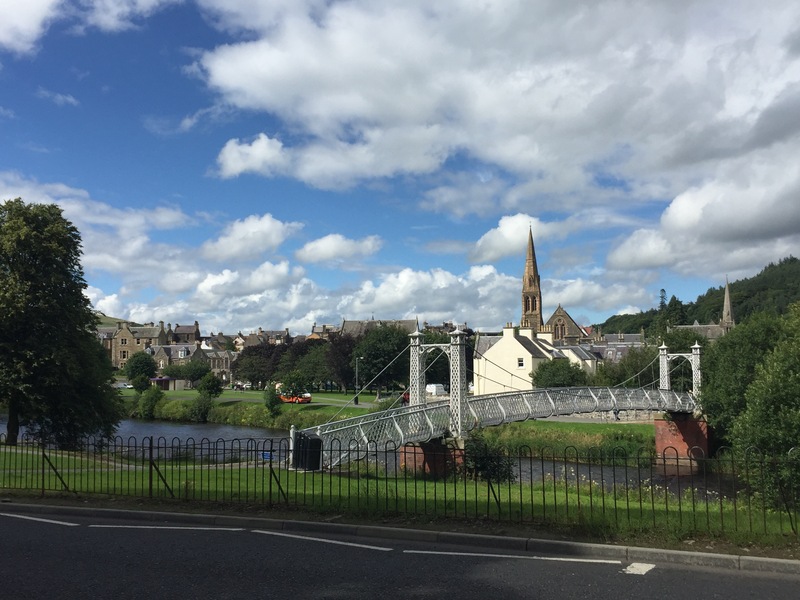 I had decided to have a day and a half off because Jedburgh has some history to learn about and I felt I needed to ease myself back in to carrying the full weight again. The campsite wardens let me pitch up and with the shower block about to close for cleaning I raced to get pitched, unpacked and into the shower. I think I set a new site record – 35mins from arrival to all sorted and showered! Having barely slept I decided to try and nap. Sleep appeared to allude me so I headed out in search of lunch. Mission completed, I spent the rest of the day and night in my sleeping bag feeling exceedingly snug as the rain fell on the tent – when I’m not walking I can be very lazy! I spent Sunday learning about Mary Queen of Scots (who I never studied at school) and about jail conditions in an 1820s prison. Undoubtedly they were bad but not as bad as they could’ve been. 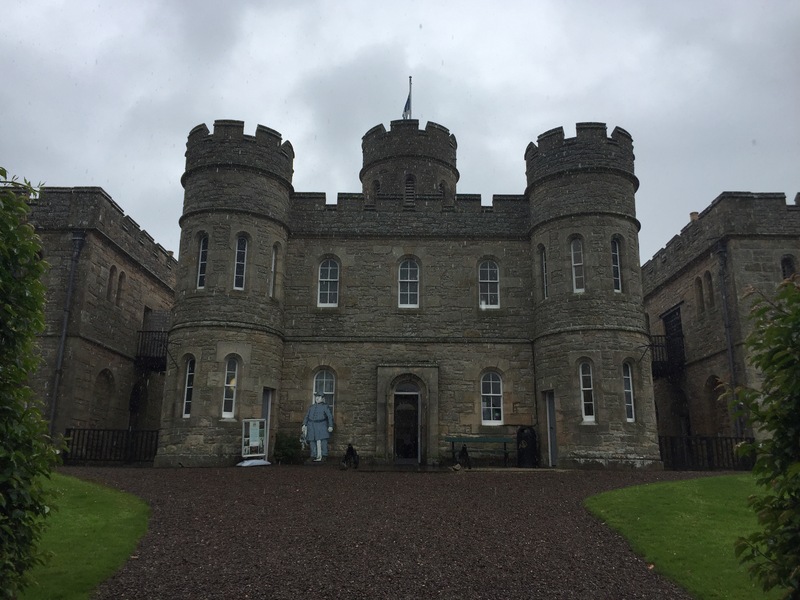 Jedburgh Gaol is a fine example of a John Howard (prison reformer) prison; the debtors slept in cells but spent the daylight hours relaxing and conversing with other inmates in the day rooms. They had fireplaces and were able to receive food stuffs from visitors that they could cook for themselves. The Bridewell where the thieves and vagrants were locked up would have been much worse with hard labour being the daytime occupation. Everyday is a school day! 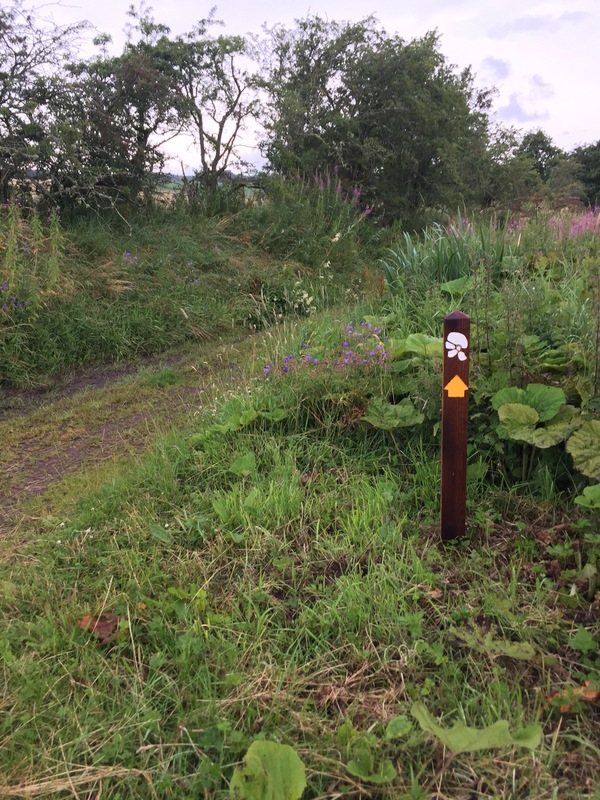 Today the walking was either on the St Cuthbert’s Way which coincides with Dere Street, the Four Borders’ Abbeys Way (such a mouthful) or along the River Tweed. 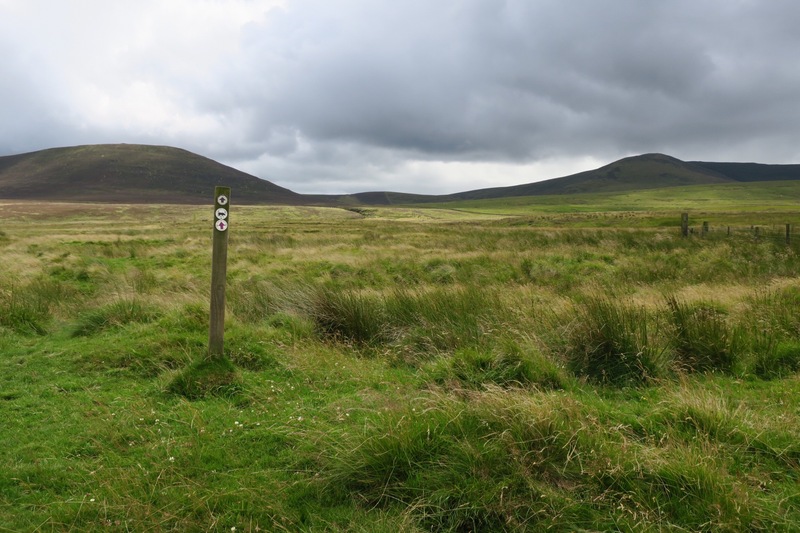 The vast majority of St Cuthbert Way walkers follow it from west to east (Melrose to Lindisfarne) along the route his life took which makes perfect sense. I was going east to west and so everyone I passed made quizzical sounds as if to say, aren’t you going the wrong way? Shortly after this Dere Street becomes the current line of the A68 so the route dives off to the Tweed which made for some very pleasant walking. 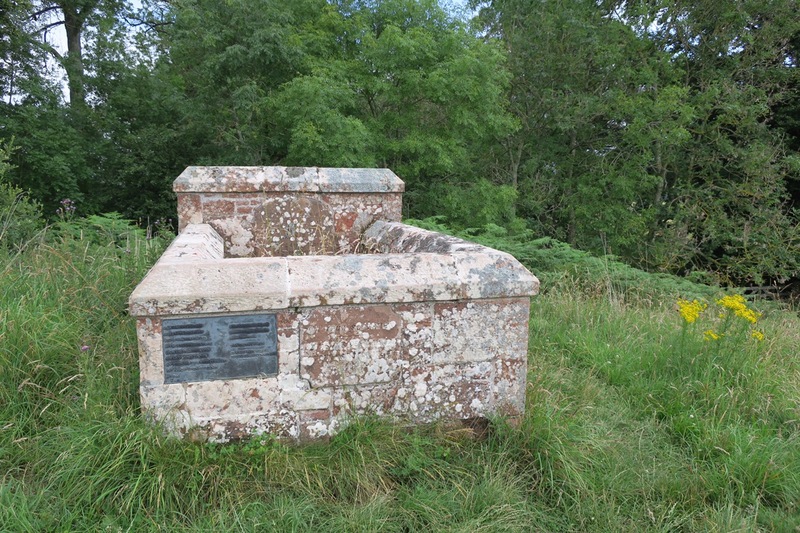 Passed by Dryburgh Abbey – one of the 4. St Boswell’s and Newtown St Boswell’s didn’t grab me so I cracked on to Melrose. 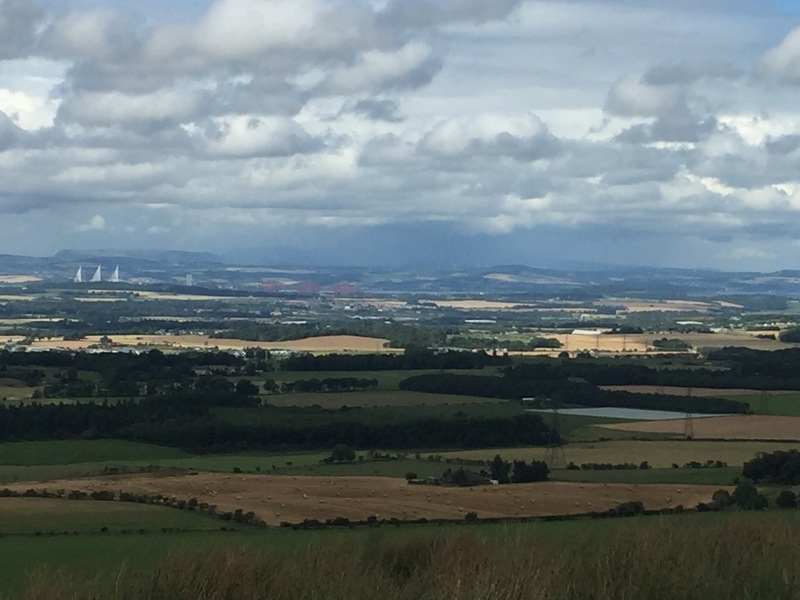 My feet were starting to ache in new ways which was unexpected so I skipped out the Eildon Hills – disappointing because they are such distinctive hills but I vowed to come and walk them another time. 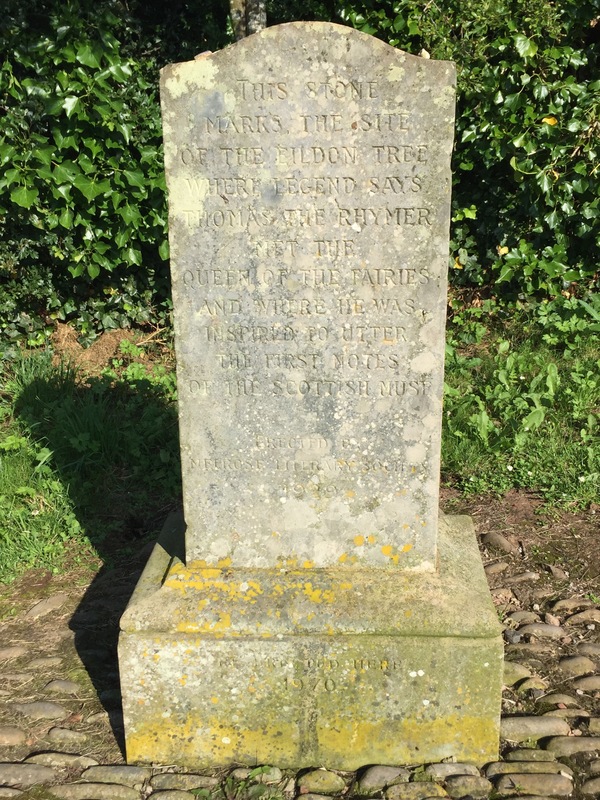 The final landmark on the way into Melrose was a stone under a tree which supposedly marked the spot where Thomas the Rhymer was met by the Queen of Elfland and taken to a fairyland for 7 years where she gave him the gift of prophecy. The glimpse of Melrose I got was enough to make me decide to come back and explore it properly, I could do that and walk the Eildon hills at the same time. Another day another long distance path. 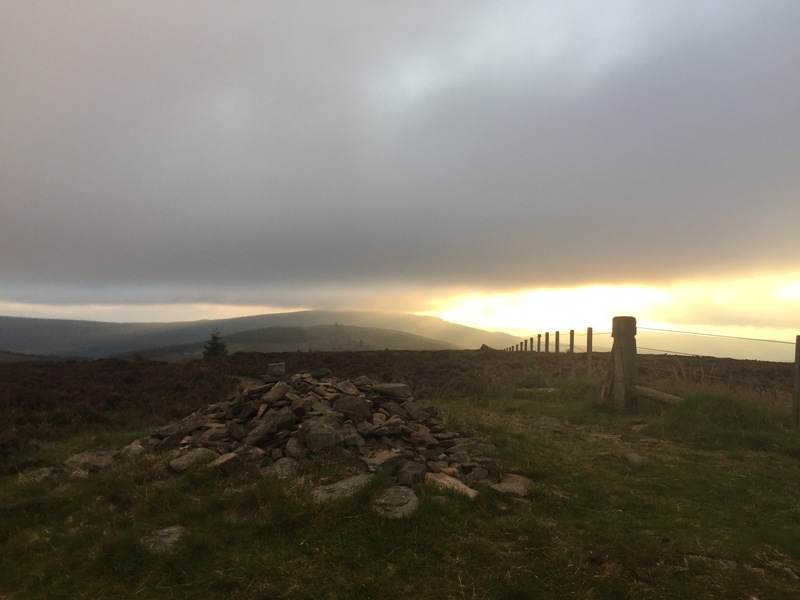 This time the Southern Upland Way. Initially it followed the Tweed and a not so disused railway (since the guidebook was published they’ve reopened a station at Tweedbank and a stretch of line) which still had a footpath. South of Galashiels I opted to take a diversion around the south of Gala Hill which was a pleasant – but muddy – woodland path, then it was through farmland to Yair. 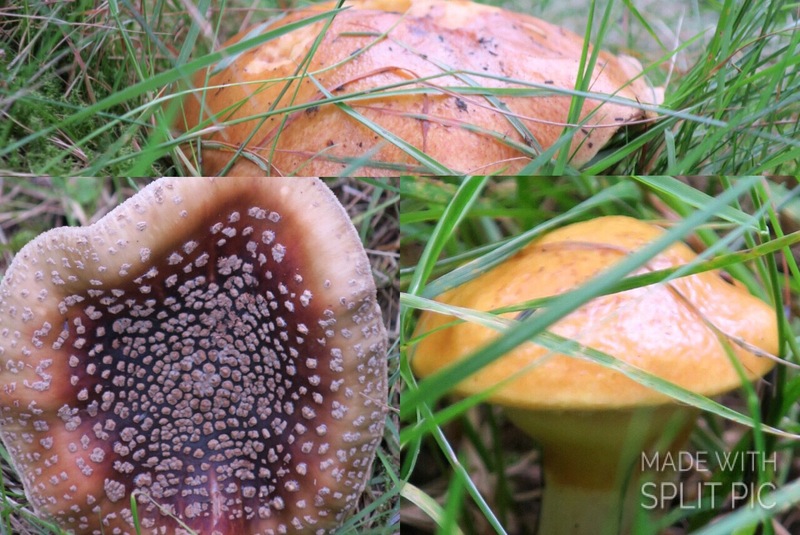 On the sides of the path up through Yair Hill forest were so many mushrooms; a mycologists dream! 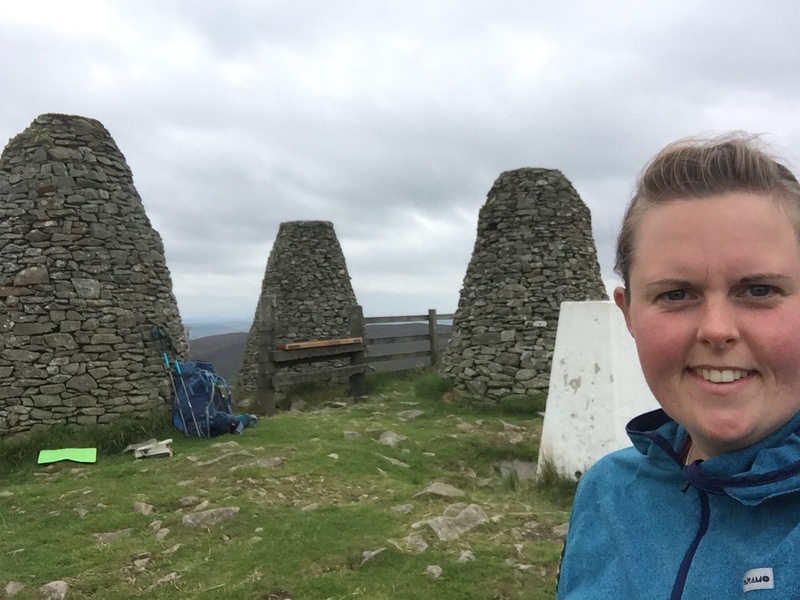 It was a steep climb up to the Three Brethrens – a hilltop with 3 chunky cairns marking the point where three estates meet and also the highest point of the Selkirk Common Riding ride. I’d not seen any other walkers on the Southern Upland Way all day, and at 4pm just when I thought I could sit peacefully and reflect at the summit, no less than 9 people passed by. Nine people…for me that’s like standing in the middle of Piccadilly Circus! I continued on for a few miles heading for the top of Brown Knowe where I’d be looking for a wild camping spot. I was very glad to have found one – the sun and clouds were my entertainment for the evening. The rapid movement of clouds – a warning sign of a breezy night – made for an ever changing scene, with the sun setting in the background. The camera doesn’t do this justice but you get the idea, the layers of hills went as far as the eye can see. I had what I think was a Rough Legged Buzzard for company too – which was a privilege. I awoke early but had slept like a log! It was 6:30 and as the rain hadn’t started I rolled over for a bit of a doze and was woken up at 7 by the rain on the tent…schoolgirl error. When I opened the tent I could see very little compared to the night before, just my immediate surroundings appeared through the fog. 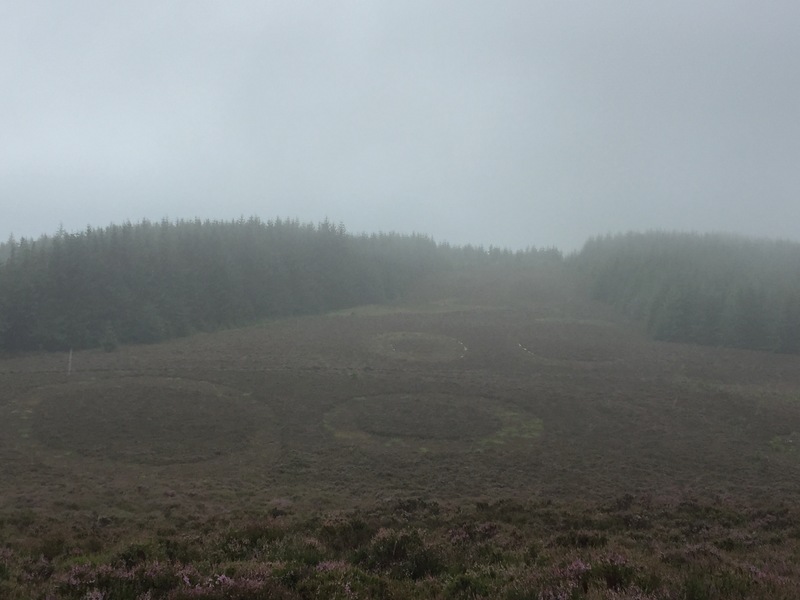 The accompanying plaque gave some pretentious artistic waffle but in essence it might look like a series of circles mown into the moor, but they are in fact large ovals that when viewed from the path appear to be perfect circles. 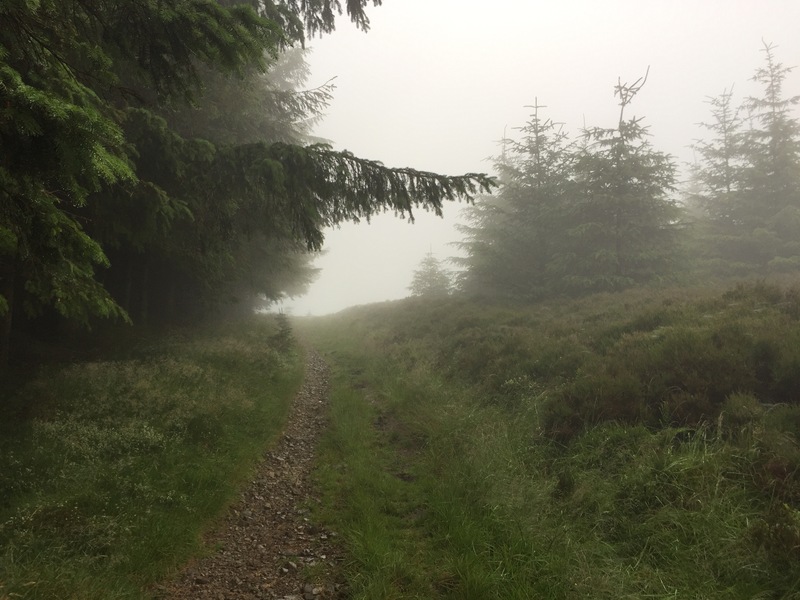 As I descended the rain really set in and my ambitions to walk to Peebles slowly ebbed away. Instead I would head to Innerliethan. When I arrived I saw that the campsite was in possession of some ‘glamping pods’ and they had one available, so I took it. It had a little electric heater which I switched on almost immediately and having just spread out all my wet kit, the steam set off the deafening smoke alarm. I was embarrassed by the loud peel and rushed to open the doors. I put on my apologetic face ready to explain to anyone who sought out the source of the noise that penetrated their peaceful retreat. But no-one came. I was relieved not to have to apologise but then I realised, that at the sound of a smoke alarm no-one came to my rescue. I could have been burning alive in there and no-one batted an eyelid. Luckily for me it was just the steam and after tireless wafting the alarm eventually stopped. Note to self if you or the cabin spontaneously combust in the night, dial 999 – no-one else is going to bother. 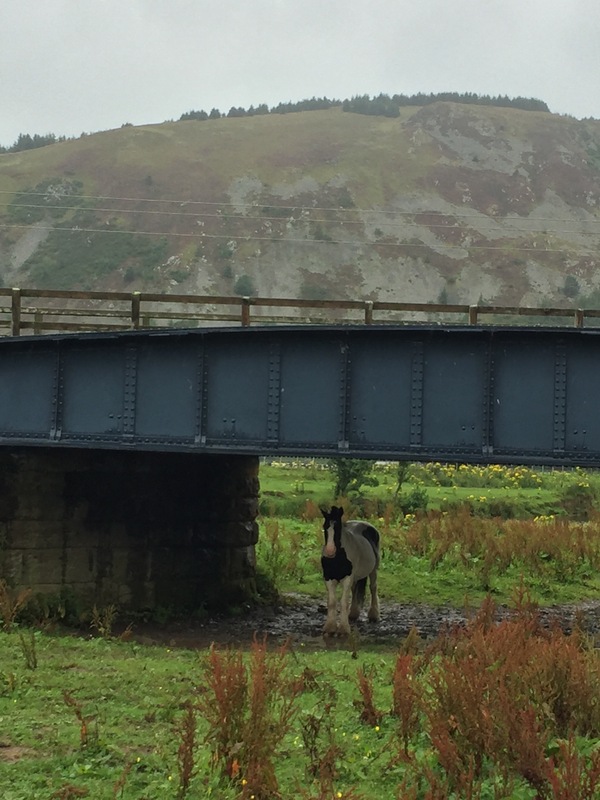 Even the local hardy horses were sheltering from the rain! Having split 1 day into 2 I now only had 10miles to get to Peebles so I had a very relaxed morning. I even found the time to lay out my kit in a colour sequence which scratched some sort of organisational itch. The route first went through the grounds of Traquair House which claims to be the longest continually inhabited house in Scotland, I didn’t hang about as I’d come from the back entrance and was probably supposed to pay. After a brief stint on the road it was back to forest tracks and up to the remains of a Roman fort called Castle Knowe. I couldn’t find the path that was indicated on the map so did a bit of off-roading to get to the summit and enjoyed the serenity at the top. Upon leaving I begun a lap of the fort when I came across a path – d’oh! I descended for lunch where there were a few day walkers and dog walkers but no backpackers to be seen. I had another slow morning, I think I’ve been using delay tactics because of my feet. If I put off getting going then I put off finding out how my feet are doing. I put the new insoles in and by the afternoon I had brief moments where my feet did not occupy my full attention – hopefully those moments will get longer until it’s business as usual. It rained on and off in the morning and when the shower got briefly heavy I dived for the nearest shelter which happened to be a gorse bush. It was a tad prickly but it did the job! As I continued up the hill looking at my map to calculate the ascent I had just embarked upon I was passed by a nice enough looking middle aged chap in his car who shouted from the open window; “if you’re using a map, then you must be lost.”. What a prattish and nonsensical thing to say! This gave me enough material for a good 10 minute rant in my head. Idiot. The route went off-piste for the first time and it was easy enough walking on short heather and bilberry but then I went even more off-piste, deciding to skip out the summit of White Meldon and ended up in tall bracken which slowed me down slightly – it sort of tangles around your legs, but wasn’t particularly bothersome. The Meldon Hills are dramatic but not particularly wild – in fact their proximity to habitation attracts a number of ‘wild campers’ and therefore vandalism of facilities and unsightly litter. 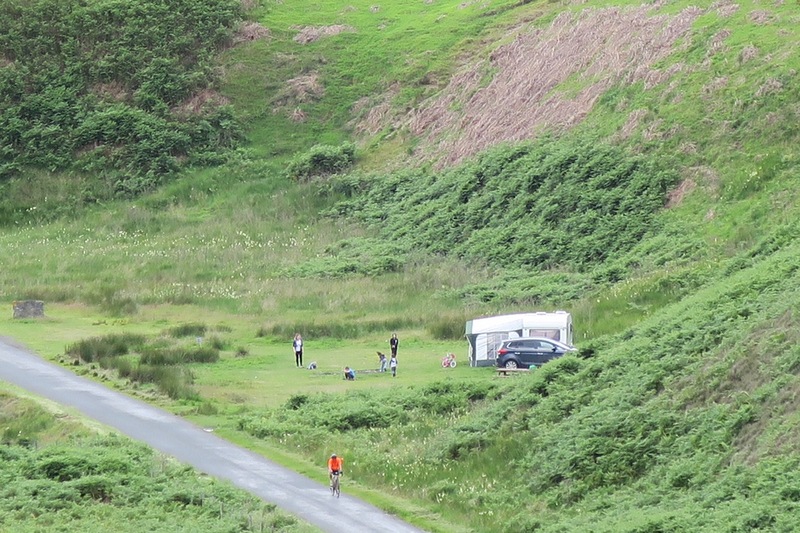 The ‘wild campers’ I saw were families who’d pitched up on a patch of flat grass by the side of the road with their full size caravans (or tent equivalents) and BBQs – the end of the valley is basically like being on a campsite except it’s free. On the way to Rommanobridge I passed through the forest of the Cloich Hills and the mews of buzzards rang out. Their presence has replaced that of the curlews, lapwings and oystercatchers of the mid-Pennines. Despite their increasing frequency in recent days, whenever I hear one, I still stop in my tracks to watch them, enthralled by the grace with which they rise effortlessly on the thermals until they are a mere speck. On another wildlife note, the flora and fauna has also changed; the hedgerows and riverbanks have taken on a definite purple hue. 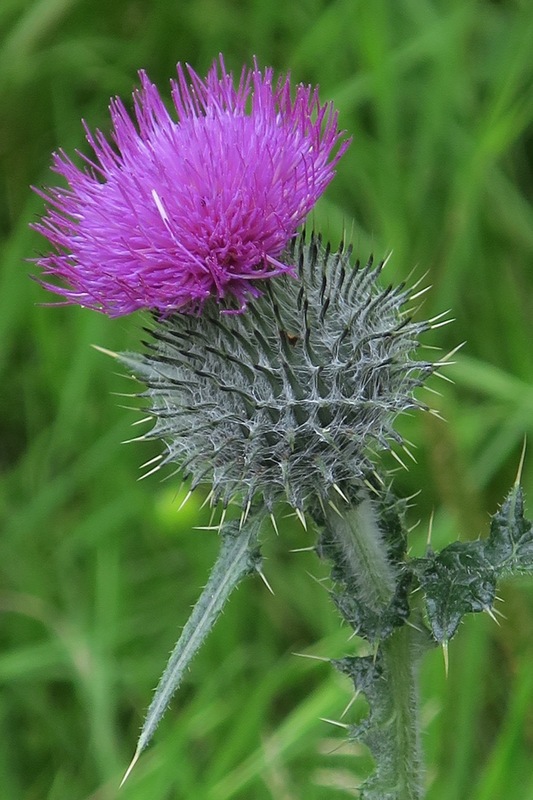 There is the Scottish emblem; the thistle, the non-native invader; Indian Balsam and the native but aggressive Rosebay Willowherb. West Linton, my destination for the day is a gem. A village with ancient origins and a distinctly – dare I say it – English feel. With a very narrow high street and no less than 2 village greens. The restaurant was superb and unfortunately for future LEJOGers the only B&B won’t be around for much longer. Today was dominated by passing through the Pentland Hills – not an area I’d ever considered before. They might be flanked by built up areas but when you’re stood in the middle they feel very wild and rugged. I think it’s definitely a taste of things to come, if I am to go up the west coast. 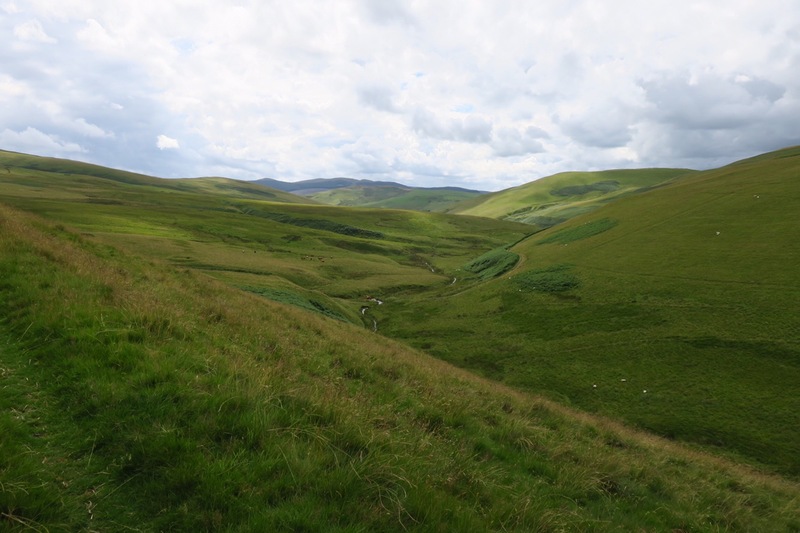 In the middle you pass through Cauldstane Slap – wonderful name – a distinctive col which also forms the boundary of the Borders and West Lothian. I also had a close up encounter with some proper hairy and horned Highland coos. 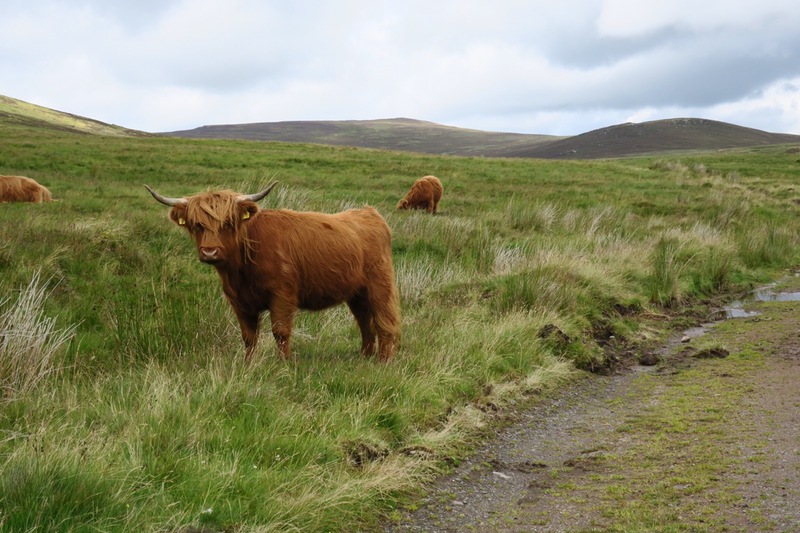 I’m not sure why but I feel less cautious of Highland cows, part of it might be the memories of driving down a narrow lane to infants and primary school for 6 years where there was often a herd of hairy cows. Occasionally my mum would stop the car and we’d get out for a closer look. I particularly remember the randomness of their presence – sometimes they were there and other times not, the anticipation of starting off down the lane not knowing if they’d be there and finally the squeals of excitement and shouts of ‘hairy cow’! Just before East Calder the route rose up to Corston Hill which provided great views to the north and east; to the Firth of Forth and its bridges, Edinburgh and Arthur’s seat dominating the skyline. Unfortunately my feet, or more accurately my right foot, has not improved and so I’ve decided that I’m going to divert by train to Edinburgh to take a few days rest, seek some advice and possibly purchase some new boots. Other than wandering around for a few hours waiting for a train, I’ve not been to the Scottish capital before so it’s a good opportunity to see the sights. Having taken the decision to stop off in Edinburgh, today had a different feel about it. 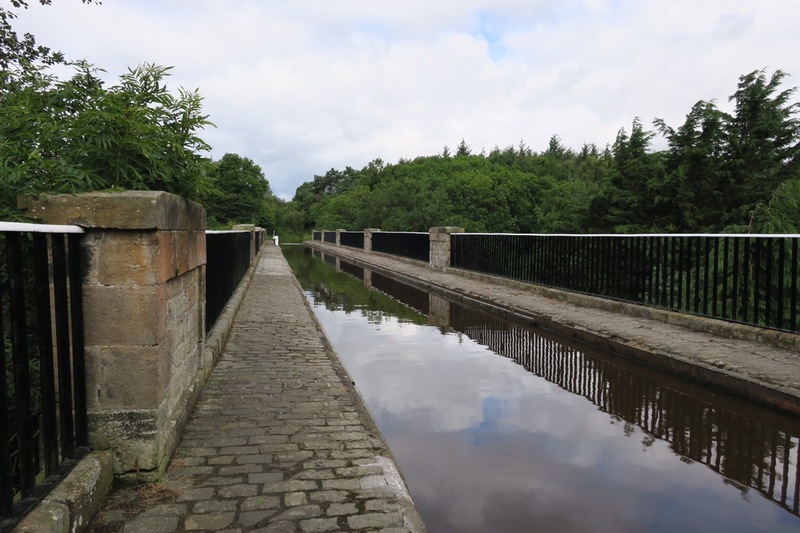 I was on the Union Canal towpath all day and was just knocking off the miles to Linlithgow from where I knew my trip would be taking a hiatus. Towpaths have their pros; no navigation, flat, and usually something of interest to look at. However they are usually hard surfaces, monotonous and mind numbing. My foot had continued to give me grief that would occasionally stop me in my tracks, so I arrived at Linlithgow station and jumped on board a train with mixed emotions; looking forward to exploring Edinburgh but some decisions to be made and possibly money to be spent on diagnosis and/or treatment of my ailment. Scotland already! You are steaming ahead. Enjoy Edinburgh. Strongly recommend a trip to Peter’s Yard.